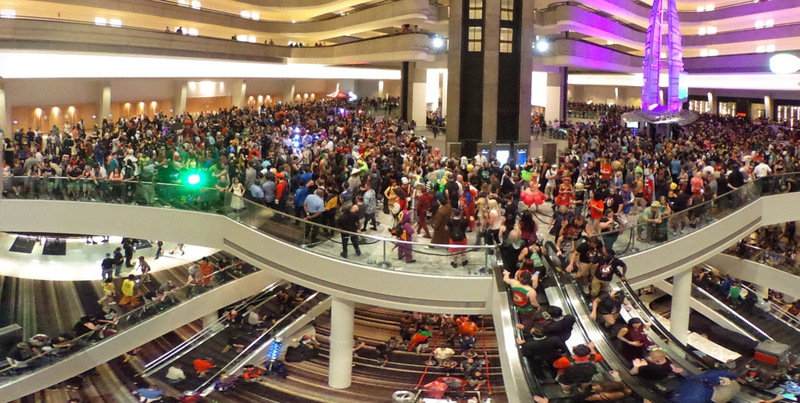 The Electronic Frontier Foundation returns to Dragon Con once again to participate in a series of panels about technology, civil liberties, activism, and pop culture. EFF Deputy Executive Director Kurt Opsahl, Senior Investigative Researcher Dave Maass, Grassroots Advocacy Organizer Nathan Sheard, and Staff Technologist Erica Portnoy will participate in about dozen panels on the Electronic Frontiers Forums and Skeptics tracks. In cosplay! If you visit our table on the second floor of Hilton Atlanta, you can also learn how to make a Star Wars, Star Trek, Harry Potter, or Game of Thrones-inspired password using GIANT 20 SIDED DICE! For more info on that, click here. We also welcome you to join us on Sunday, Sept. 2 for a free EFF Speakeasy meet-up at CrazyAtlanta Restaurant and Bar. No badge required. The provisional schedule is below, but stay tuned for updates on our panels and the special features at our table. 4:00 pm - Restoring Net Neutrality: Regulation, Legislation, or Litigation?